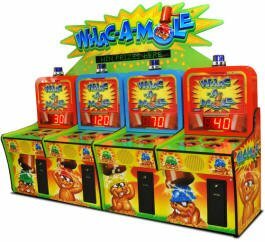 Sell your Whac-A-Mole arcade game for the most cash at We Buy Pinball. Working or Not. - We buy pinball machines. Sell your coin-op video arcade game for cash. We buy pinball machines. Sell your coin-op video arcade game for cash. Your unwanted coin-operated arcade game is worth money in any condition. Find out just how much our buyers/collectors are willing to pay! Sell your Whac-A-Mole arcade game for the most cash at We Buy Pinball. Working or Not. Classic Whac A Mole games with mirrored backglasses wanted. We are a large group of home arcade game collectors! 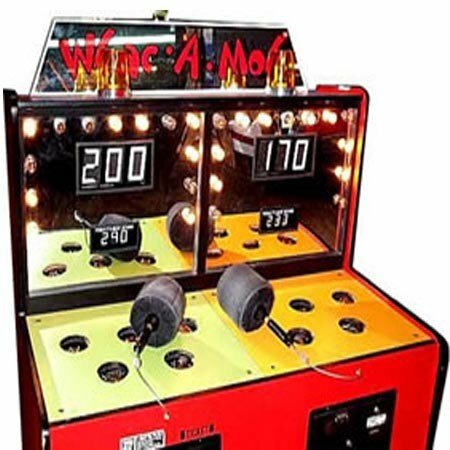 We are always on the lookout for coin operated Whac-A-Mole game! We are also looking for Bob’s Space Racers, Inc. home version (NON-coin-operated) version too! This game in non-working condition is still worth money! However, in fully working condition it’s worth a lot more! These games took a huge beating (please excuse the pun) over the years! They were literally pounded for thousands of hours of operation! Plus there has been multiple models over the years. From the classic mirror back to the modern “Whac-A-Mole” back glasses. From Hydraulic to the home use electric drives. Modern Whac A Mole games wanted. We are local and willing to pay cash for your arcade games. Find out just how much today. please use the form to the right. Its Free to submit a game for sale! Town or Area in that state?